HOW DO YOU DEVELOP SMART, CONNECTED PRODUCTS? The Internet of Things (IoT) is driving dramatic change. Some see it as an incredible opportunity. Others view it as a dire threat to their business model. 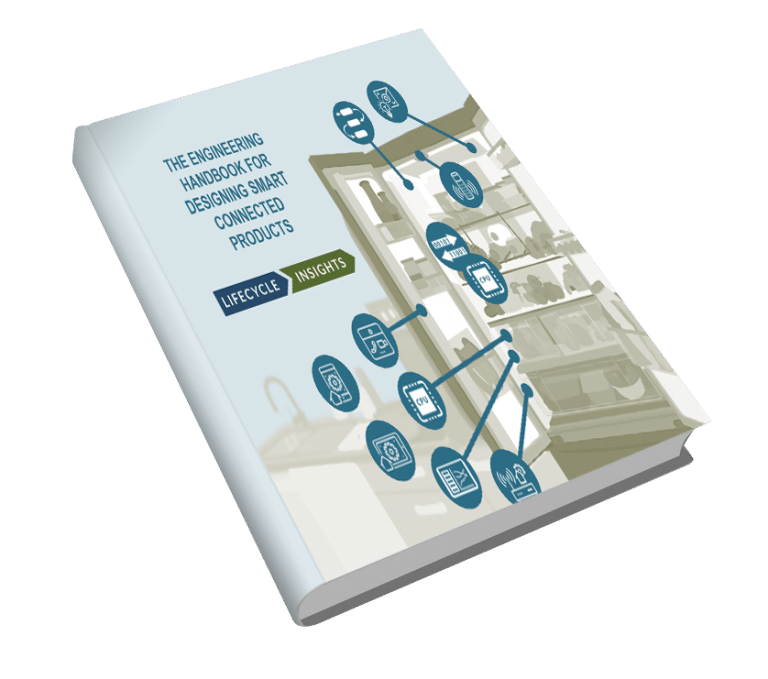 Either way, The Engineering Handbook for Designing Smart, Connected Products can help you navigate such a transformation. Sign up for the Lifecycle Insights newsletter to receive a free copy of the eBook. Our mission is to empower executives’ ability to reap more value from technology-led engineering initiatives in less time, with more surety, and less disruption. We digitally publish research, educational, and advisory insights on technology-led engineering initiatives, enabling better investment and adoption decisions. 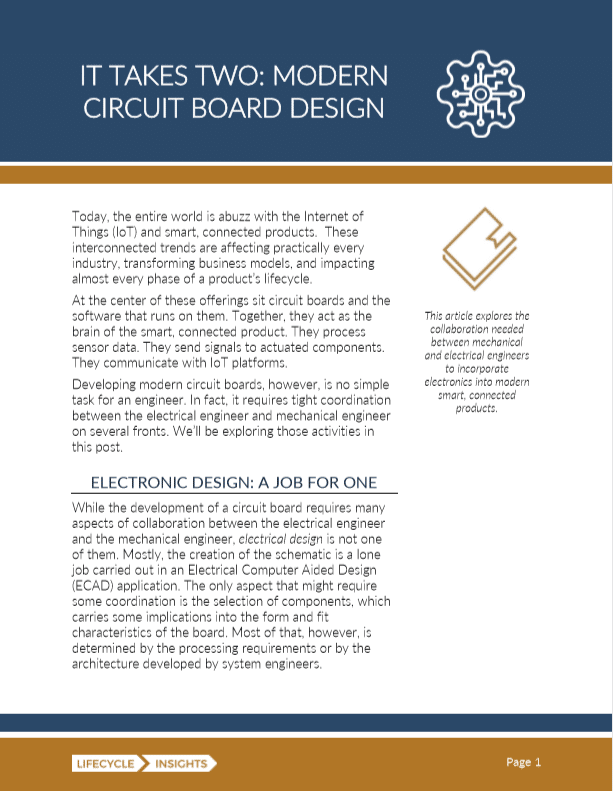 Developing today's circuit board systems is a tall task. To do it well, electrical engineers and mechanical engineers must collaborate closely. Recent advances in MCAD and ECAD software applications promise to improve the process, but do they deliver? Read our brief to learn more. 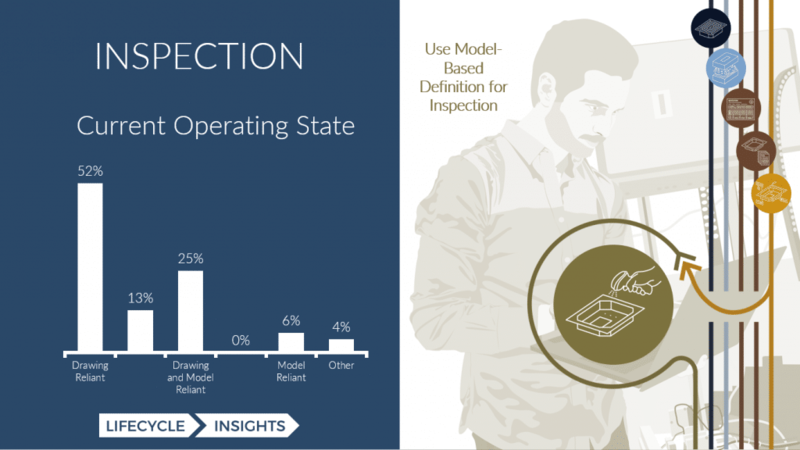 Many companies realize there is value in MBD initiatives. Yet, many worry whether their suppliers are ready. 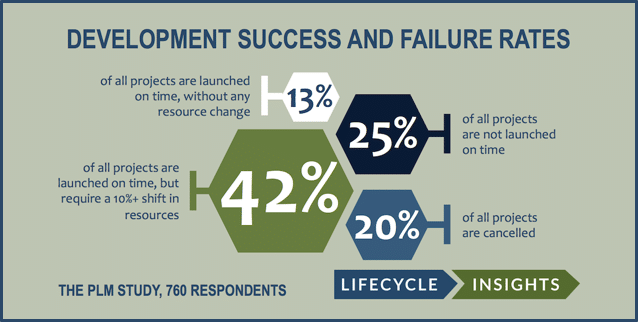 This study quantifies the readiness of suppliers based on capabilities.